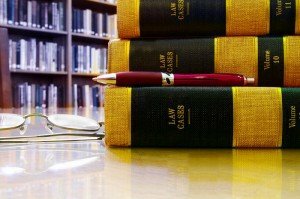 Prior to the amendments of the Bankruptcy Code in 2005, the filing of a bankruptcy proceeding automatically stayed a residential eviction proceeding unless and until the landlord obtained relief from the automatic stay. If the landlord has not obtained a judgment for possession against the debtor prior to the bankruptcy filing, the automatic stay goes into effect as usual and stays the eviction. However, if the landlord has already obtained a judgment for possession against the debtor before the bankruptcy filing, the automatic stay does not stay the eviction unless the debtor completes the section on Page 2 of the Voluntary Petition entitled “Certification by a Debtor Who Resides as a Tenant of Residential Property”, makes the required certifications in that section, and deposits with the bankruptcy court any rent that would become due within 30 days after the bankruptcy filing date. Thereafter, the debtor must also cure the entire rent default that gave rise to the judgment for possession within 30 days. Filing bankruptcy prior to entry of a judgment for possession against the debtor provides two very significant benefits to the debtor: (1) the automatic stay stops the eviction without the need to deposit rent with the bankruptcy court; and (2) an unexpired residential lease that has been terminated under state law due to non-payment of rent can be “cured” and “assumed” in a chapter 13 bankruptcy proceeding; the past due rent arrearage can be paid over time in a chapter 13 plan and the lease can essentially be reinstated. Be sure to check bankruptcy case law applicable in your local jurisdiction regarding the curing of a terminated residential lease. Also, be aware that the Bankruptcy Code treats defaults involving non-residential leases differently than residential leases. Greg Broussard is Director of Course Development at LawDocs, Inc. and is an author, speaker and authority on consumer bankruptcy law. LawDocs provides basic to advanced bankruptcy training to attorneys and legal staff nationwide. Whether you’re a sole practitioner or a large law firm, LawDocs can train you and your staff in all aspects of consumer bankruptcy law and get your bankruptcy practice up and thriving in a matter of days.